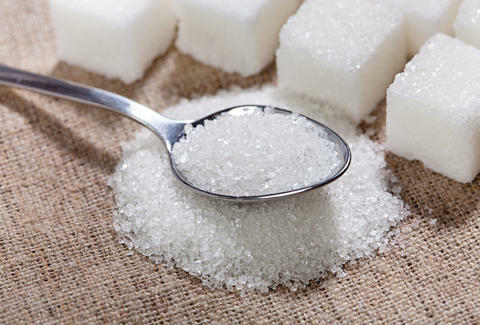 Has the Ultimate Sugar Substitute Finally Arrived? Up until now, sugar alternatives like Splenda, Sweet 'n Low, and Stevia have been poor stand-ins for the real, delicious thing. Sure, people will tell you "I prefer the taste of Stevia," but those people are awful liars -- real sugar is like an AK-47: accept no substitutes. Unless of course those substitutes are Doux Matok, a new sugar alternative that might actually be sweeter than the real thing. The idea of Doux Matok is simple: take tiny, FDA-approved food-safe particles, and coat them with natural sugars like fructose and sucrose. The result is a product that's twice as sweet as normal sugar, meaning you can use half as much of it to achieve the same desired flavor with less caloric value. The Israeli startup behind Doux Matok's tested it in everything from chocolates to dairy products, and the difference seems to be negligible compared to the sugar control. If this all sounds too good to be true, well, it might very well be -- we won't know until the testing phase is completed, and we actually see these sugary particles appearing in the wild. Here's hoping that actually happens, and we can continue to indulge our sweet tooth cravings without all the weight gain and diabetes that come with them.